Is your roommate an Aquarian? Is your bed partner all set and ready for her birthday celebrations or are you planning a surprise birthday bash? Well, if you are, then I have conceived the perfect gift idea for her. Any guesses? It’s not the nostalgic yet designer photo collage or a clock that has a wondrously minuscule cuckoo popping out and pronouncing the time at the wake of every hour! Well, it’s a gift that is priceless, i.e., gifting the freedom to snore. Yes, the liberty to snooze without you nagging your her every second. You waking her up during her snoring sessions seems as though the poor snorer needs to pay a toll fee for every grunt she utters! “No restrictions on snoring”, could be your new resolution on her birthday! Well, let’s get back and hit a serious note on finding the best ear plugs. Ear plugs for the ears are what sunglasses are to the eyes. They are indeed protective shields that help you zone out environmental disturbances, not to forget the personal ones as well! 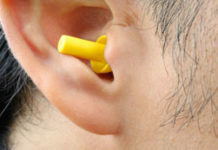 Ear plugs are a savior for all those who find it impossible to sleep a wink with partners who refuse to stop snoring. People who are ready to trade for their hearing abilities and switch over to artificial hearing loss can reduce the intensity of sound and the reduction of sound is approximately 33dB. What you can resort to is an artificial ‘partial’ hearing loss. The ear canals are totally blocked, but your bones situated in the head channelize the sound to the inner ear. Thus, even if you consider your bed partner as the loudest noise polluter in the world, the snoring sound is measured around 82 db. This can be reduced to 52 db approximately. This will make it certain for you to sleep peacefully. This sleep aid is meant for those who have trouble placing standard foam earplugs. You need to push these ear plugs in gently. They are made from soft recovery. You will receive 10 individually wrapped earplugs in a rigid cover case. Snoozers earplugs are the among the sought-after ear plugs for cutting out the snores. They are soft and flexible in order to provide the perfect fit for the ears. They could be reused for around 5 times and then disposed of. They are available in natural, and bland colors. Non-toxic hypoallergenic silicone putty is used as the major component for its manufacture. You get six pairs in a pack and you will be saved from countering insomnia as a bonus! They are soft wax earplugs in order to prevent the ears from going through discomfort while sleeping due to constant loud snoring activities indulged in by the ‘neighbor’. 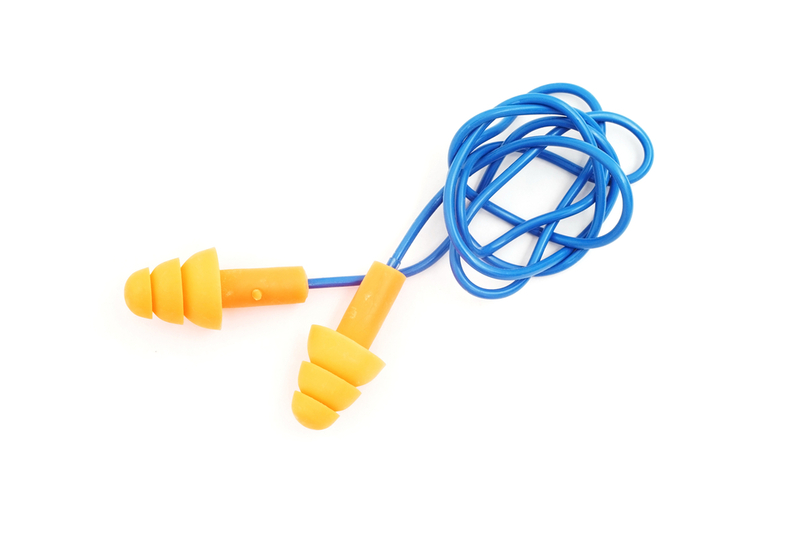 The earplugs fit in a snug manner and provide your ears with utmost comfort. They are a great option when listening to ear-splitting music (by choice or by force!) or while studying, to prevent unnecessary disturbances. They propose to be multi-purpose due to the fact that they could be worn to protect ears if they are over-sensitive to water or rains. There are 12 earplugs in a pack, wrapped in a cotton wool case. They preferably should not be reused but it depends on what the wearer chooses to do. Soft silicone earplugs boosted with Microban technology ceases the growth of microbial growth that causes a foul smell in the earplug. It is perfect for sleeping minus snore sounds and apt for swimmers to avoid being affected by swimmers ear. Biostar has an inherent property of being molded. It can fit any ear size with ease and comfort. You get 3 pairs in a rigid protective case. You could now rest assured, to have a peaceful sleep. So the equation you derive from now on is Bed Partner + Best Ear Plugs = No Snores + Sound Sleep! Now, that’s a desirable situation!